The Klondike Gold Rush of 1897 brought thousands of miners to the Yukon River, and in 1901 the first gold claim was filed at Coal Creek, previously mined for coal. Over time, miners had to dig deeper and deeper for the gold. So in 1936 a state of the art gold dredge was erected at the creek, chewing through 3000 cubic yards of gravel a day. For the miners and their families, life was hard and isolated yet richly memorable. 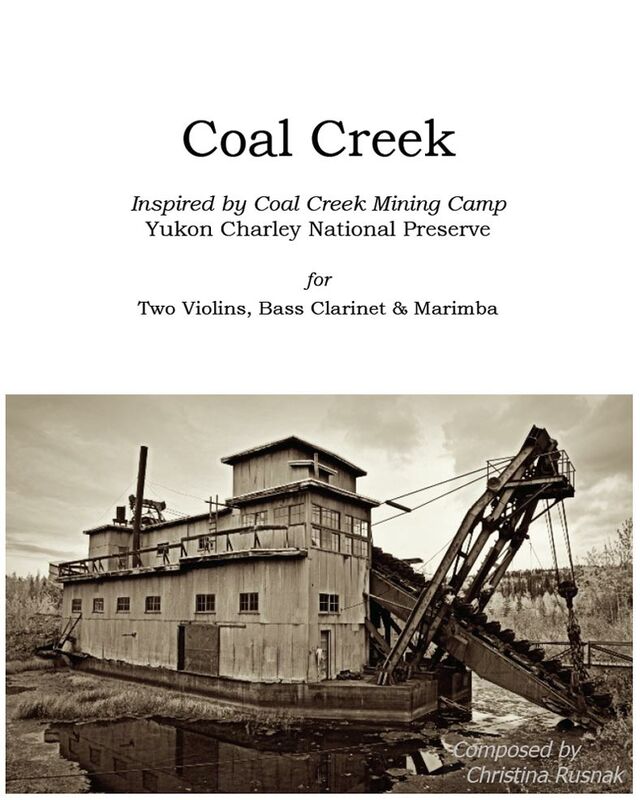 Located in the Yukon Charley National Preserve, the 1930s mining camp has been restored. Access today, as then is primarily by boat. With the closest community 60 miles in one direction and 100 miles in the other, a gravel airstrip provides thrilling access to the camp. Coal Creek, considers the rise of the camp and the life of its people as I imagined it in these challenging conditions of this incomparable landscape, along the ever- present Yukon River.